Chowra Makaremi is a tenured researcher at the French National Center for Scientific Research (CNRS) and at the Institute for Interdisciplinary Research on Social Issues (IRIS), Ecole des Hautes Etudes en Sciences Sociales (EHESS). Her main research interest lies in state violence, the experiences and memories of violence. In 2004, Chowra Makaremi discovered the notebook written years before by her since-deceased maternal grandfather, Aziz Zarei. 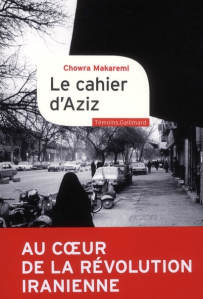 The notebook recounts the tragic destiny of Aziz’s two daughters in the Teheran of the 1980s: Fataneh Zarei, Chowra’s aunt, was arrested and executed in 1982. Fatemeh Zarei, Chowra’s own mother, was arrested in 1981 and was imprisoned and tortured for seven years before she was finally killed in the mass-murder of political prisoners in 1988. 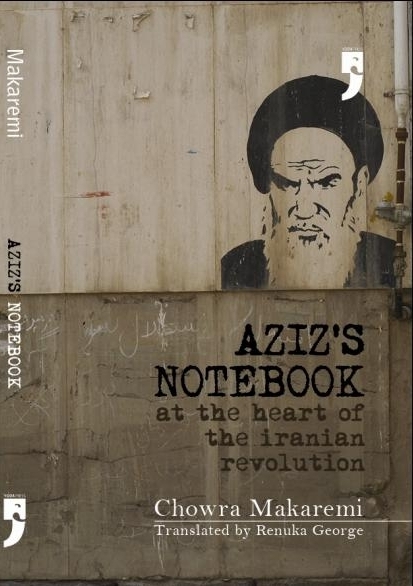 Aziz’s notebook has been published in French in 2011 and translated in English in 2013. Your grandfather’s notebook brings to life cruel stories of violence and loss, execution and exile in Post-revolutionary Iran. Yet, your grandfather did not seem to have plans to publish it. As readers, are we not stumbling across a private conversation? My grandfather was not a writer. He did not belong to a social group that was familiar with writing memoirs. Coming from a traditional background, he worked from the age of 15, in the army and then in the Anglo-Iranian Oil Company, quite far away from the literary circles and westernized elites of the time. As he wrote in the first lines of his notebook, he was taking a pen because his “inner voice shouts” at him: “Write down what you saw, what you heard and what you endured”. His project was driven by an emergency and a necessity that translates into a literary energy driving the narrative at a fast and intense pace. In this sense, the content and the form of his story both draw on a same force, which is the need to testify. In the first pages, my grandfather says that he is writing for his grandchildren – my brother and I – so that we may know the truth about our mother’s life and death. So in this sense, it is a family document, a private document. However, in other parts of his story, he refers to us as children using the third person. Formally speaking, we are not the recipients but characters in his story. And it is quite clear from the outset that he is talking “over our shoulder” to a general audience. If we compare his notebook to the letters at the end of the book for instance, it is clear that the notebook is written for a public audience, addressed to readers, in contrast to private writings such as the letters addressed to his daughters or son-in-law. At several points in his story, he states that he is producing a testimony, although for him, this testimony does not aim at any kind of justice or redress. He does not believe in human justice, as he states, and he does not care about the society of men; ultimately, he writes to spend some more hours with his daughters “who are no more”. But there lies another ambiguity of his project, because his writing is not introspective and directed towards the past: it is directed outwards and to the future, with the obsession to leave a trace against the silence and denial that surrounded state repression and prisoners’ massacres. Yes, we have to remember the context in which he wrote. The atmosphere in the 1980s was extremely dense, dark and heavy in Iran: a new State was emerging out of an unpredictable revolution, and new state apparatuses were being implemented through the use of violence, terror, and a totalitarian Islamic ideology. It was an era of terror, of violent war with Iraq, constant air strikes on the cities and losses of hundreds of thousands of young men. My mother and my aunt belonged to the Mojahedin party: they were party candidates to the National Assembly first elections in two different cities. The Mojahedin was the main opposition party to the Islamic Republic. Basically, they lost the institutional fight for power after the revolution, and in the two years following the 1979 uprisings, Ayatollah Khomeini’s party was successful in locking down all access to government – in a not very democratic way – and ruling exclusively over the new Iranian State. In response, the Mojahedin and a few other far-left parties engaged in armed struggle. My mother was arrested before her party entered into armed struggle, which is why she was sentenced to years of prison and not executed on the spot. In this context in the early 1980s, the Islamic Republic was at war with its opponents, the worst of which were the Mojahedin: it is important to understand that repression and violence were framed in terms of war: political opponents were “enemies” and treated as such. And not only active opponents but also opponents’ siblings or just random people – students, teachers, etc. — possessing “suspicious” leaflets or books, pretty much like what happened in Argentina in the 1970s for instance. So at the time when my grandfather wrote about the fate of his Mojahedin daughters, it was even forbidden to say that name out loud: the mere mention of it made people shiver because the lists of people to be executed were publically announced on TV and public “confessions” of former Mojahedin who had obviously been tortured were broadcast. In this context, my grandfather had no place and no one to turn to: he had no choice but to keep quiet about the secret he shared with many thousands of other executed prisoners’ families. So he sat and wrote down these secrets, because he obviously needed to externalize them, but there was no such possibility. I think there is a difference. As you said, a story that was not known suddenly surfaces through my aunt’s voice when she reads out loud the notebook for me. The reason why I have access to the notebook through her mediation is because I cannot read the Persian handwriting. And this reading of the notebook is important both to me and my aunt, because she could not return to Iran after the Revolution and so she is also finding out for the first time what exactly happened to her sisters. I am getting into these details because an element that is not explicitly addressed in the book, yet plays an important role, is exile. Exile has kept us away either from the language in which the events are narrated, or from their experience. Yet exile is also what allows their re-discovery. So there are silences: collective, social, state imposed, guilt induced silences; but there also is a circulation of information -from writings to oral stories or through objects, pictures, etc… – that construct a symbolic and imaginary world in which the supressed (the disappeared) are allowed to exist again. Through exile, this circulation is a travel through different spaces and different societies, and the history of Iran since the revolution really cannot be written without taking into account these many streams, from the inside to different outsides. Which is ironical, because the Islamic Republic is built on the ideology of independence and rupture from the western influence that inspired the Iranian revolution: yet, even more than before the revolution, the many public and private spaces the authoritarian State has produced develop in a back-and-forth movement between inside and outside. But the difference I wanted to point out is a distinction between what is shared and circulates, the “collective” and the public. There is a tension here that draws three spaces and not two: the private, the collective, and the public. When my grandfather’s account of the years forgotten to me and unknown to my aunt surfaces again, it is shared, and from the beginning it defines itself as a testimony, the reminder of a collective experience. Yet, this story is not collective or shared in the sense of something public. What it takes for it to become public is the publishing of the book, the will of a publisher, etc. And I guess that by telling the story of the story: how the writing was discovered and read out loud, and then left untouched for years before it was translated and published, I wanted to point to these different layers of individual and collective spaces in which a truth can resonate and bear effects. And when I talk about truth, I am thinking of Benjamin’s statement when he writes on history: truth is not an exposure of the secret, but a revelation that does justice to it. The texture and nature of the secret must be made sensible, because this maybe has more to teach us that the “truth” it uncovered. But is it not exactly where the issue of private and public mourning is a delicate one? You are right. During the 1980s, those killed were often deprived of a proper burial, and in many cases, were not even buried in graves. And the interdiction of mourning as a public, collective moment of acknowledgement of a loss actually deprived people of private mourning as well. I don’t think that private forms of mourning developed as counter-practices and resistances where public mourning was forbidden. Actually, and somewhat paradoxically, the interdiction of public mourning made private mourning impossible: this is what is meant by the expression “open wounds” when one is talking about disappearances. So the interdiction of burial and mourning was a way to target people – families, local communities, etc. – in their intimacy, to impact on them at the most private level, and with long-lasting effects over decades. And this is precisely why resistance and counter-memories depart from there too: the objective is to mark in the public sphere, virtually or physically, the deaths that have been denied mourning: be it by some stones and flowers delineating a symbolic grave in a mass grave, or by a book in my case. As was the case with the mothers of the Plaza de Mayo in Argentina, and as is the case in many other countries – I am thinking here of Sri-Lanka, Palestine, Guatemala … – a movement of mothers has been active in Iran since the 1988 massacres. Most mass graves are unknown, but one has become famous because families used to gather there and hold collective commemorations after 1988: it is the Khavaran “cemetery” (actually a wasteland that served as mass grave throughout the 1980s until 1989). Recently, Khavaran has become the name for State violence in the 1980s. As if we were using a proper noun where silence and denial do not allow us to name the events with common nouns (massacres? crimes against humanity? state crimes? civil war?). The mothers’ network is called the “Mothers of Khavaran”, and, yes, their mourning is a private act that wants to penetrate the public sphere, and as a political claim rooted in emotions of loss and grief (in the personal) it is the strongest initiative in Iran against denial and impunity in the last decades. 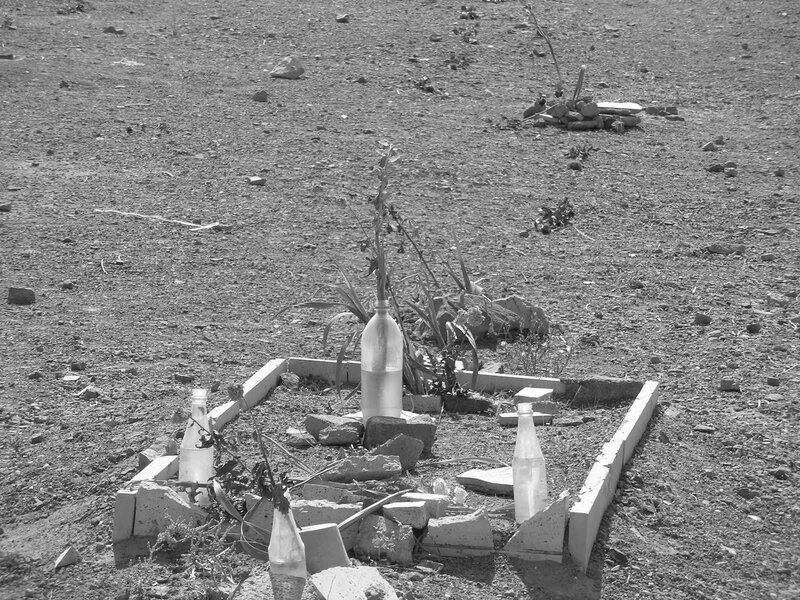 The mass grave of Khavaran was bulldozed in 2008, in order to erase evidence of State violence; but the Mothers of Khavaran still exist, and maybe the loss of the mass grave as the only focus and locus of their fight is what is leading them to become a more general voice of opposition to the State, as has been the case recently. As I said, through narratives, objects and histories, the families and friends of the executed, or the survivors of violence, share common worlds in which the events have taken place. These worlds are some sorts of safe places, in opposition to public spaces marked by silence. Because it is very heavy burden to live in a different reality from the others: in your world some people existed and have disappeared, but for the common, outside world, these people simply never existed at all. You know about violent crimes committed by people who are looked at as respectable officers, shop keepers or doctors; you know that some things can happen that are simply unimaginable for others: you know the prison administration can kill a few dozen thousand prisoners in two months and the news will not appear anywhere. The range of what is possible, and the boundaries between what can or cannot happen – reality, surreality and imagination – are drawn in a totally different manner. 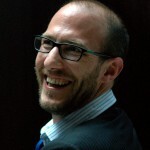 In Iran, these differences, induced by denial and impunity in how to define the limits of the possible, have had a very practical impact in the present: when people demonstrated massively against the State after the 2009 elections, they simply had no idea that the repression could burst into such networks of criminal practices by state and para-state agents. They were faced with disappearances, large-scale rapes of men and women in secret detention centres, young street protesters loaded into trucks, whose bodies were never given back to the families. There was a sense of shock and astonishment coming from the fact that protesters – the majority born after the 1979 revolution – didn’t believe the State to be capable of such acts. Their sense of what was possible, and their transactions with the State were determined by an idea of the State and the public sphere built on a history of reforms and the rise of civil society since the 1990s, on the one hand, but also, on the other hand, on decades of amnesia, public secrets, rewritings of history that have been the conditions in which this opening was negotiated from the 1990s on. So, in contexts of denial, the tension I was referring to between your world as a witness or even a perpetrator, and the shared knowledge, realities and values that shape the public sphere, impact at both collective and individual levels. At the individual level, Frantz Fanon’s work as a psychiatrist in colonial Algeria, or Marcelo Suarez-Orosco’s work on Argentinian navy officers during the dictatorship, have both looked at the nightmares haunting the torturers and executioners: they show that even for perpetrators, this constant distortion (the fact that you don’t share the same reality as others) produces some kind of mental suffocation. And more silences. But this time of a different nature: an interiorized withdrawal, a strategic amnesia that enables you to be part of the community from which you have been alienated by the secret. This is why I say the politics of denial that produced these distortions were a way of governing the living through the dead. It was a way of silencing large portions of the population by supressing physically “only” a few dozen of thousands active opponents. For a couple of years now, we have access to more and more memoirs and testimonies about the massacres in the 1980s. What is the place of Aziz’s notebook in this explosion of memoirs? A few years after the massacres, from the mid-1990s on, a handful of prison survivors have testified about the massacres: they have published their memoirs in exile. But this was made possible precisely because they were in exile. The specificity of my grandfather’s narrative is that he is speaking from inside Iran in a place and at a time (right after the massacres) when it is impossible to speak out loud. I think this time and space, the isolation, the insecurity and the inaudibility associated with it imprint a special texture to this writing project. They also help us grasp the ambiguity you were pointing out between a “private conversation” and a public testimony. As I said, other memoirs, written by survivors, have been published in the last 20 years. But a key difference is that these Memoirs have been written after the events and in exile; and we know that our memory is influenced by the context in which we write. My grandfather’s writing is different because there is no survival; his words draw from a memory frozen in terror and loss. I know this may seem extreme, but I really feel that the strength (and paradoxically enough, the literary beauty) of this testimony is that it comes from the other side, it does not fully belong to the world of the living any more. When I think about the notebook, I see my grandfather, old and small, standing up to shout in a deafening silence: and what comes out of his mouth is a rough but beautiful song of love and death.